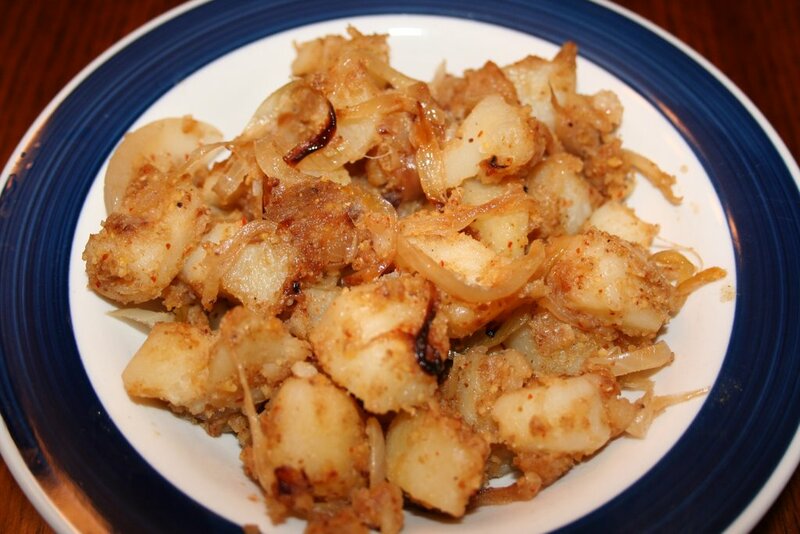 This dish is a great recipe for potlucks and also tastes good with any kind of rice dish. Spiciness can be increased as needed. Dry roast the "to powder" ingredients and grind into a coarse powder. Heat oil in a pan and add sliced onions. Once the onions turn golden brown add the ground powder, salt and chopped potato cubes. Fry in low heat till the potato turns color and absorbs the masala. Serve with rice and sambar. Looks like a perfect dish for chapatis! !YUM!